Logins this hour: 13072 ? 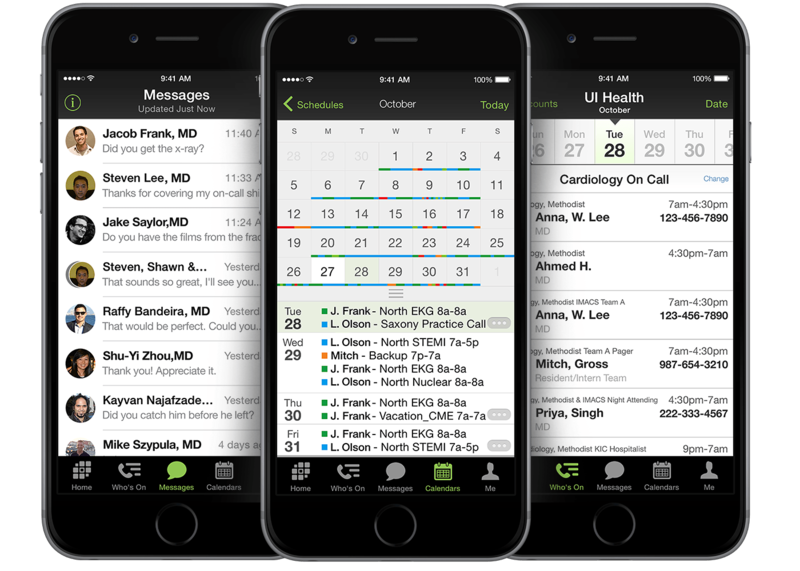 Imagine a mobile app that integrates your shifts with staff schedules and secure texting so naturally it becomes indispensable as a stethoscope! 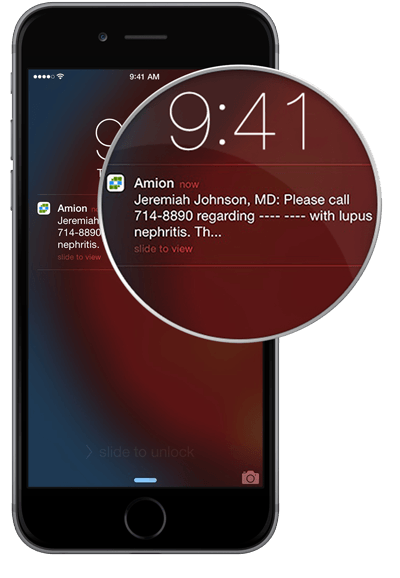 The AMiON mobile app buzzes discretely in your pocket when a work-related text arrives. Glance at a PHI-free version of the message on your alert screen without opening the app. You'll always know when you're on duty and you'll enjoy a simple, dedicated channel for communicating safely and securely with colleagues. Here are 5 things you can do with the AMiON App! AMiON Secure Texting is included with every AMiON subscription. Use it alongside or instead of pagers. Or swap in any third-party messaging platform such as TigerConnect, RapidConnect or Imprivata Cortext.